With the daily breaking news about mogul Harvey Weinstein and the growing charges of sexual harassment that has now permeated his life and the nation as a whole, this film is even more important. WHAT HAUNTS US tells the real story behind a town whose silence lead to the suicides of a disturbing number of victims. This film is a cautionary tale for parents and their children and a horrifying example of what happens when one stays quiet about sexual abuse/molestation. 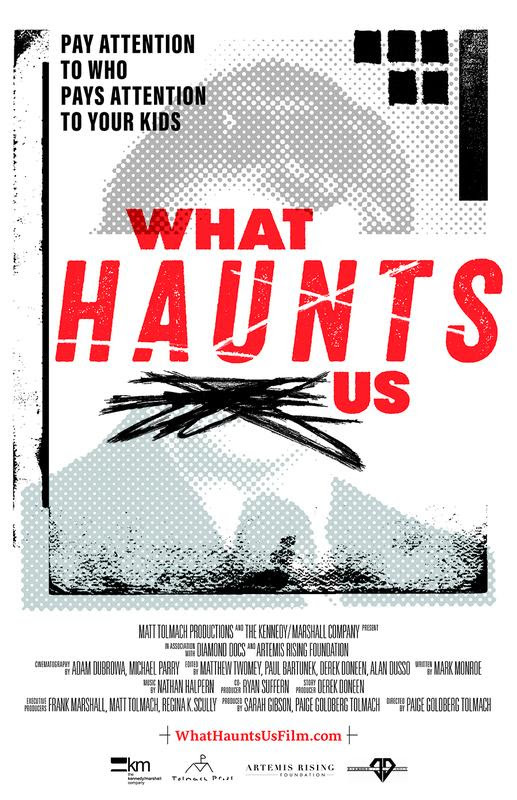 WHAT HAUNTS US tells the story about the 1997 class of Porter Gaud High School in Charleston, South Carolina that graduated 49 boys. Within the last 35 years, six of these boys committed suicide. Filmmaker Tolmach graduated from Porter Gaud, and now she digs deep with this film in discovering the dark secrets that have lingered and haunted this community that she so loves. The six boys that committed suicide featured in the film didn't have to die if they would have spoken out and not remained quiet about what had happened to them. However, the shame associated with this nightmare often weighs more on the victims - only to keep them silent. WHAT HAUNTS US is not a new story, but it is the continuing common tale of sexual abuse, molestation, shame and a community's silence so that "no one rocks the boat" rings all too true to this day. Until, we as concerned people speak up, these crimes against innocent victims will continue. WHAT HAUNTS US is directed by Paige Goldberg Tolmach and produced by Frank Marshall and Matt Tolmach. It is one of the new non-fiction films coming from THE KENNEDY/MARSHALL COMPANY DOCUMENTARY DIVISION. To listen to my conversation with Paige click play on the embedded player below.